In today’s highly-competitive business environment, lean operations and tight budgets are more the rule than the exception. For that reason, it’s understandable why companies may be reluctant to invest - both time and money - into a website of their own. Given the ubiquity of social media, many decision makers are asking the question, “Do I really need a website, or can I manage my digital footprint on social alone”? I have encountered this very thing with contacts in our industry. More than one person has said to me, “I don’t need a website, I have a Facebook page. My customers can find me there, or on Yelp”. While it’s true, not every single business in existence needs a website, THAT is more the exception than the rule today. Here are some of the top reasons why your website is more important today than ever before. Over time, people have just come to expect that a reputable business will have a website that they can visit. The level of effort required to set-up a Pinterest account, or a Facebook page is pretty minimal. Your prospective customers know and understand this. Establishing a more formal online presence with your own website requires a more significant investment. This resonates with your audience in the form of credibility. To drive this point home, think back to a time when you wanted to find out more information about a company you saw somewhere online (i.e. on Facebook)? But when you went looking for more information, they didn’t have a website of their own. How did that make you feel? While one could argue that a website alone is not enough to instill trust, the lack of one will almost certainly make a prospect uneasy. Having your own website allows you to target the largest audience as possible. Despite the surging popularity of social media these days, not everyone has a presence on social media. There are over 4.1 billion internet users worldwide (Source). By contrast, as of the first quarter of 2018, Facebook had 2.19 billion active users (Source). Factor in the recent reports that Facebook is constantly battling the issue of fake accounts, and their number of active users is likely less than that. If you rely solely on social media to deliver leads for your business, odds are you are leaving a substantial opportunity on the table. One of the benefits of social media is that it does provide a platform for businesses to reach customers in the course of their normal day-to-day activities. Advertisements, promotions, or content will show up in the users feed while they are trying to connect with friends (on Facebook), or search for recipes (on Pinterest). Not only is this approach interruptive, this obviously requires the user to be active on the platform, as well. Odds are, social media activities are just a portion of the user’s online habits. People are searching because they are looking for answers to questions they have, or for solutions to problems that they are trying to solve. If you don’t have a website, you have zero chance of showing up in the search engine results pages and engaging that user. On the flip side, what if you, or your company, had the answers, or solutions, the user is looking for, and you provided that information on your website? Appropriately optimized, your site will appear at the top of the search engine’s results, increasing your visibility among potential customers. Your website should be the anchor point for your brand online. Yes, you can (and should) establish a presence on social media platforms. Yes, you should customize your page, or profile, with your company colors and logo to the extent the platform allows. However, none of the customization features available allow you to comprehensively convey your brand the way you can on your own website. Your website is the only place where you can completely control how your brand is represented. Further, when it comes to reaching customers, you are at the whims of the platform. The same clever algorithms responsible for pulling recommended photos, videos, or posts into your feed are the same ones that control who ultimately sees your content. On your website, you have ultimate editorial control, you control what content is shown where. This last point is rather obvious, but these third-party platforms do not exist to serve your interests. They are in business to make money (even if they haven’t made a penny yet). Ultimately you do not want the success of your business to be tied to theirs. The connections you have made on these platforms only exist as long as they do. Where will your business be if one of your current social platforms becomes the next Digg, Friendster, or MySpace? Your own website provides as permanent an online home for your business as there can be. You own your site, and your content (you should, anyway), so even if your hosting company goes out of business, you can just move your site to another host. Setting up a website for your business is one of the most important marketing investments you can make for your brand. 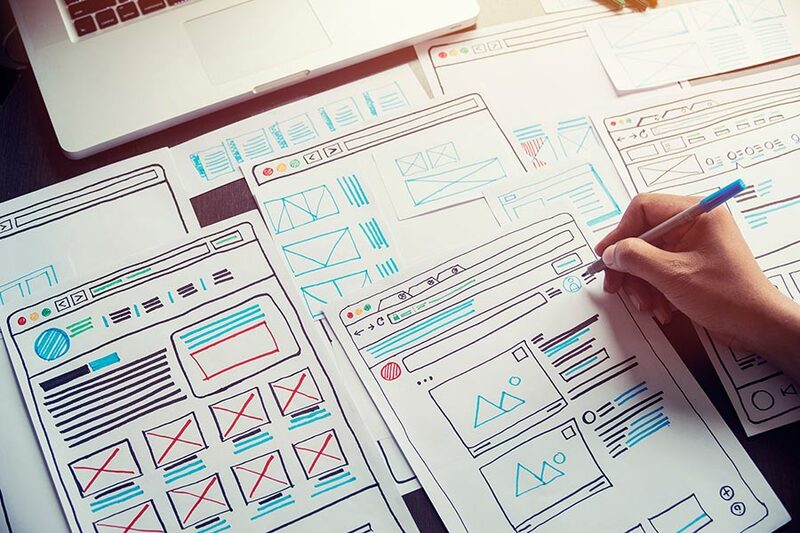 A well-designed and executed website will reinforce your brand online, and raise the visibility of your content to the broadest audience possible. This is not an indictment on social media platforms in the least. Every digital marketing strategy should have social media component. However, this should be a complementary component relative to your own website. Your activities on social media should always direct users to your permanent home on the internet, your business website.